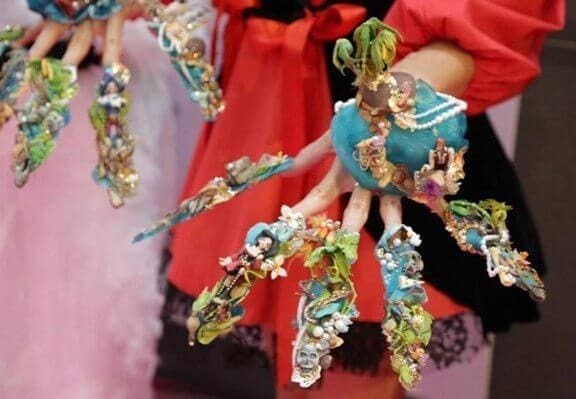 If you thought nail art has run its course, be prepared for a total about-turn. A very startling about-turn, actually. 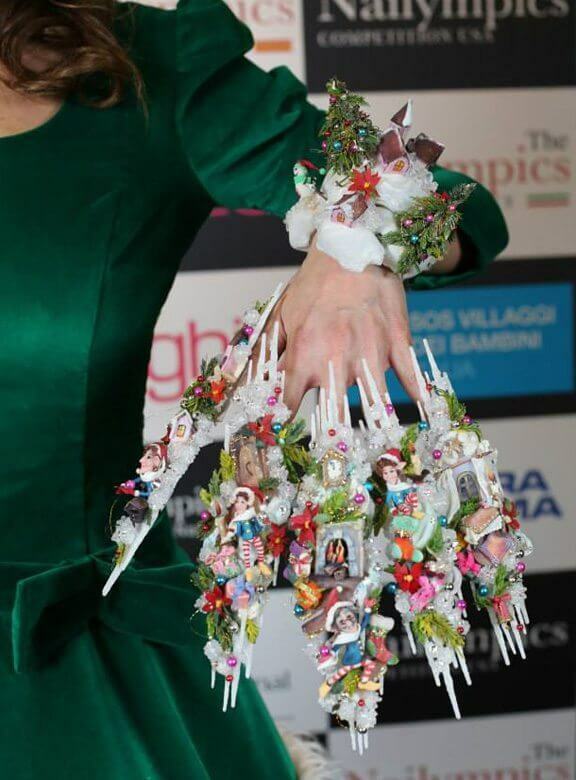 ‘Coz while the world’s winter sports elite were battling it out in the chill zones of Sochi, the “biggest and most important world nail art contest” just wrapped up in Italy. The fourth annual Nailympics (yes, there is such a thing!) saw 17 of the planet’s top nail artists convening in Rome to to judge thousands of contestants from across 50 countries last week. 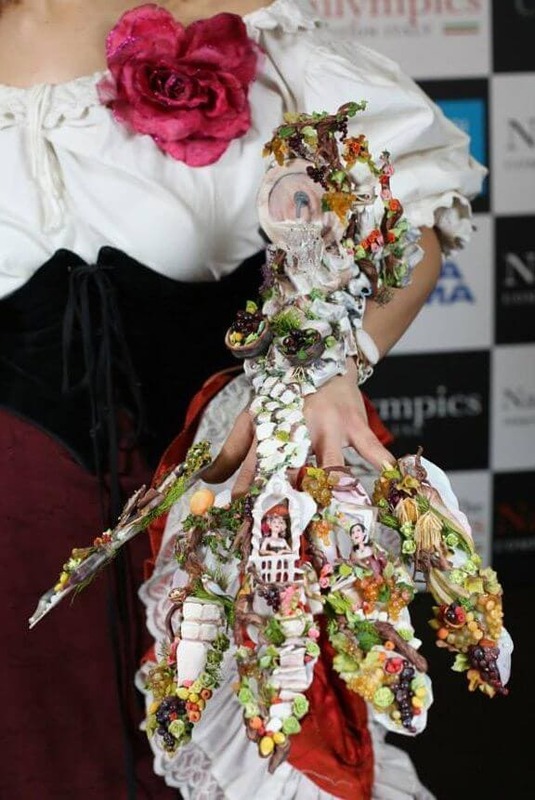 And this was no ordinary nail art… described as “celebrating beauty, fantasy and innovation, where technology and passion meet in order to create an astonishing show of colors and graphics that no visitor will ever forget,” the Nailympics 2014 saw a claws-out (pardon the pun!) competition that takes the manicure to a whole new level. From goblins and vampires to fairies and enchanted forests, these are not for mere mortals. Or for anyone who wants to be able to use their fingers for normal stuff – like, say, carrying food from plate to mouth or even scratching your nose (which, to me, is the whole point of nails!). But that doesn’t mean we can’t ooh and aah over the craziness and creativity, right? Cool? Or crazy? What’s your take on the Nailympics? Much as with the hairlympics I ask: Does it count as Nailart, simply because it is stuck to your nails? If so, that one time I crafted with my cousin and got a figurine stuck to my nail with superglue would count too. Why don’t they make it into a figurinolympic? But then I guess there are only so many ways to simply paint a nail, and it would be hard to judge who did it best. 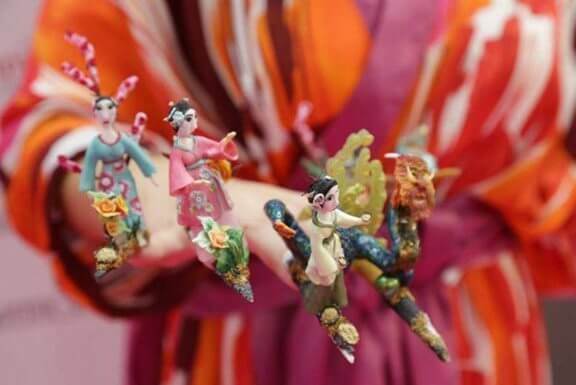 All that Nail puppet show is made mostly from acrylic for nail enhancement so level of difficulty is very hi. Usually it takes for three moths to prepare only one work, and then also idea of a dress for a model, make-up ecc.